East Coast Railway Recruitment has come out with an excellent and wonderful opportunity for the person who is seeking for the railway jobs.There are more persons who are searching for a job in railways can apply now. Now here is the recruitment for the railway job. East Coast Railway has released a recruitment notification for the Sports, scouts and Guides Quota Post. East Coast Railway has come out with the 21 Vacancies in Sports Quota, and 08 Vacancies in Scouts and Guides Quota. Candidates who can apply for the East cost railway post should be qualified in 12th or degree with minimum 50% are eligible to apply for the post. The person who is interested in apply for the post can apply on or before the date of 18th December 2017. Application form for East Coast Railway Recruitment will be published on 18th November 2017. Candidates interested in railway jobs can apply for the post. Before applying for this post, refer the official notification. Click the link given below and visit the official notification of East Coast Railway Recruitment. Utilize this wonderful opportunity and fulfil your dreams. We provide all the information for the railway job seekers, Official Notification, Important dates, Selection Process, Age Limit, Educational Qualification, How to apply, Pay Scale andApplication form details. 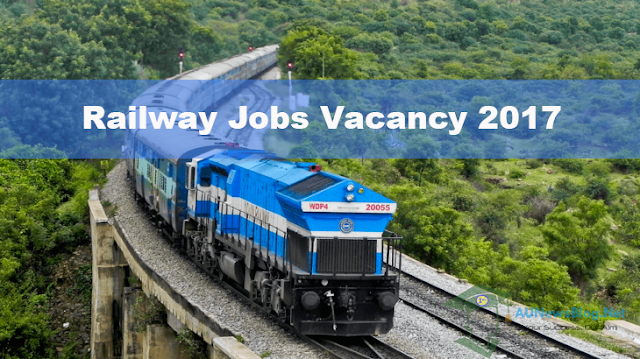 We will upload the upcoming jobs on railways for the railway job seekers. Eligible and interested candidates can apply for the railway jobs. East Coast Railway has released a great opportunity for the railway job seekers. Have a look at the details we are provided about East Coast Railway Recruitment 2017. Utilize this great opportunity and shine in your future. Took a glance at the official details for the detailed information. Visit our site to get more information about the upcoming railway jobs. Candidates who are wishing to apply for the railway jobs should be qualified 12th or any degree with minimum 50% marks from the recognized University or Institution. 28 years for Group C & Group D Posts and 31 years for the reserved candidates. Scouts & Guides Quota : 5200/- to 20,200 with GP Rs. 28,000/- Per month. How to Apply: 5200/- to 20,200 with GP Rs. 18,000/- Per month. Interested candidates take a glance at the official notification and download the application. After getting the application full the details and send the relevant documents with the aplication within 18, December 2017 to the following address. Eligible candidates can apply for the jobs in railways and fulfil their dreams. We provide details for the Sports Quota, Scouts and Guide Quota jobs. There are totally 29 Vacancies for these post. Refer our website for all the upcoming railway exams information. Apply for the examination on or before the last date and utilize the opportunity for your bright future.